Do you like targeting keywords with a high CPC and High Competition? That's good and do not be hesitate. To win this competition you need to create a blog with self hosting and follow these tips. During the first 3 months you should not expect the income, but prepare the expenses for building blogs, for example: buy domain hosting, you buy wordpress theme, write articles and so on. 1. Before you start to make blog, you got to have a theme ( template ) which is just before you install in wordpress. I would like to recommend you to use a 3 columns theme if you enjoy to make short post articles. In addition, three column template is seo friendly because you can put a lot of navigation. 2. Only install wordpress in cpanel using your mainstay theme. IMPORTANT! You do not ever change your theme first. So, make sure you have selected the right theme when you want to perform wordpress installation in cpanel. This will affect the success of your blog to the first page of google will dominate. 3. Then attach about 10 posts recent posts in the sidebar, plug category in the sidebar, attach a list of tags in the sidebar, pairs of related articles 10 posts. This is a powerful seo onpage. 4. Optimize it in webmaster tools for your blog indexed by both absolute terms. This is a very basic seo techniques are required. 5. Start writing the article in the manner of writing correct and provide the image, make a post as much as possible and do not worry about traffic. Try to post 5 articles in a day, if you can write 10 posts a day was better article. If not, just buy the article. Also read How to be a good blog writer. Do not forget to give the internal links that lead to other posts. It is a powerful onpage seo techniques. 6. The sixth step is OPTIONAL but highly recommended because it is a powerful strategy offpage seo. Namely, commenting on other blogs that have a high PageRank and have similar topic / similar niche, using the name+url. 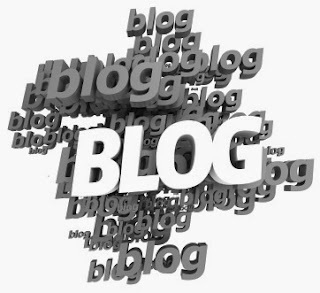 Try one blog per day that you comment. Activity of this commenting is not forever, but only during the first 3 months only. This is a great way to build backlinks is tough. But if you do not have time to implement tips number 6 is also not a problem. Because later inbond number of links will grow by itself with age of the blog. On the internet, many crawler that automatically crawl your blog and provide a link to your blog inbond. It is a powerful natural backlinks.